I have wanted to try this for some time - drinking hot lemon water as soon as I wake up in the morning. I had my fair share of excuses before (e.g. no refrigerator where I can stow my lemons away, living at an apartment which is not as conducive to fitness as living at my own house, etc.) I know, right? Pathetic. 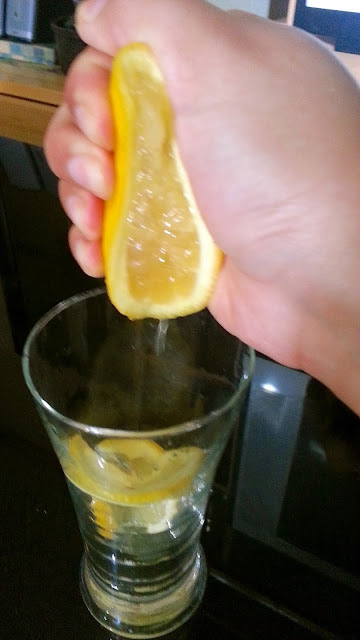 Eventually, my will got the better of me and so I decided to get my kilo of lemons from the supermarket and finally try it out. Why first thing in the morning and on an empty stomach? Because after waking up from your overnight (or over the day for those on graveyard shifts) slumber, your body needs a kickstart. Being idle for many hours pauses or slows down our body's metabolism and drinking lemon water first thing when you wake up signals our body to go back to work immediately. This trick ensures that we get the nutrients fast (and furiously? Char!) Also, it is best to drink this early in the morn because it supplies us with the necessary energy which we can use for the whole day of work or school. 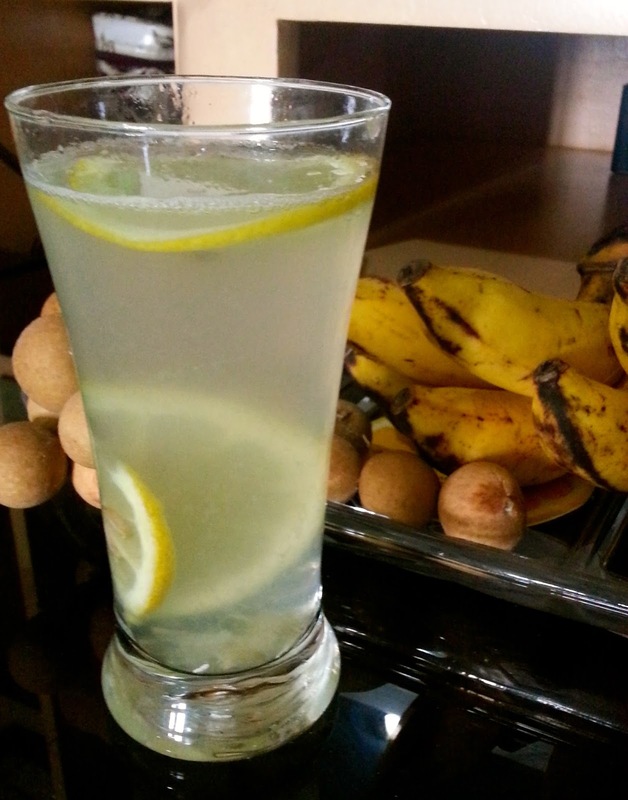 And finally, lemon water is a good fat burner so all the fat you've eaten from your previous night's dinner will be disintegrated by it. 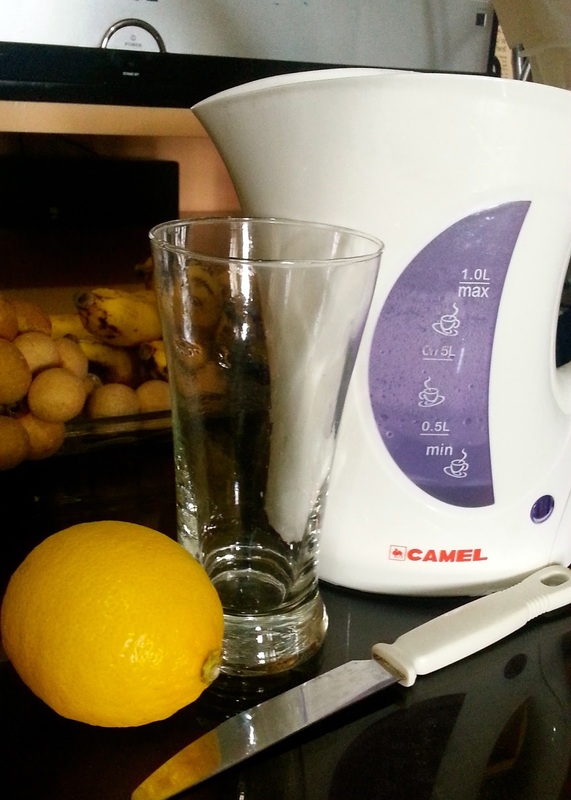 So how do I make my lemon water? Let my photos and captions sum it up. 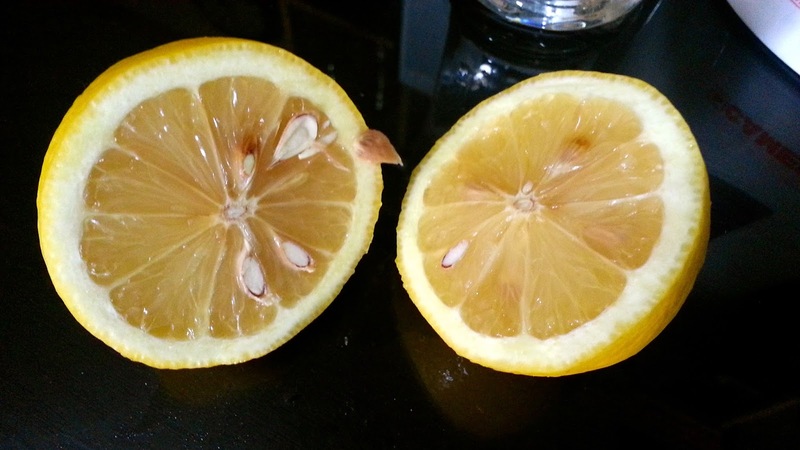 Before cutting in half, roll while applying pressure to the lemon. It releases the juice. But wait, there's more. I'll share the effects I've experienced after being on this regimen for 2 straight weeks. I had a massive breakout episode! For real. My pimples wanted to escape badly from my face and some red spots appeared on my hands and thighs. They cleared up already though after 2 weeks. I'm clean and clear now. LOL. Aside from the breakout, I felt like I needed to go to the restroom every 6 hours. My bowel movement has significantly increased. Those are the obvious effects I noticed. Anyway, I'll add more as soon as I discover them. Hihihi. After 2-3 weeks of drinking this religiously, I noticed my teeth became sensitive. Not shocking though since there've been a lot of warnings about lemon water corroding the enamel of the teeth. I just didn't think it'd feel that painful/annoying. So I had to quit drinking for a while until I found a straw. Hehe. So just a heads up for those planning to follow this regimen: find a glass straw. That's it. Thanks for reading. Have a great day ahead!